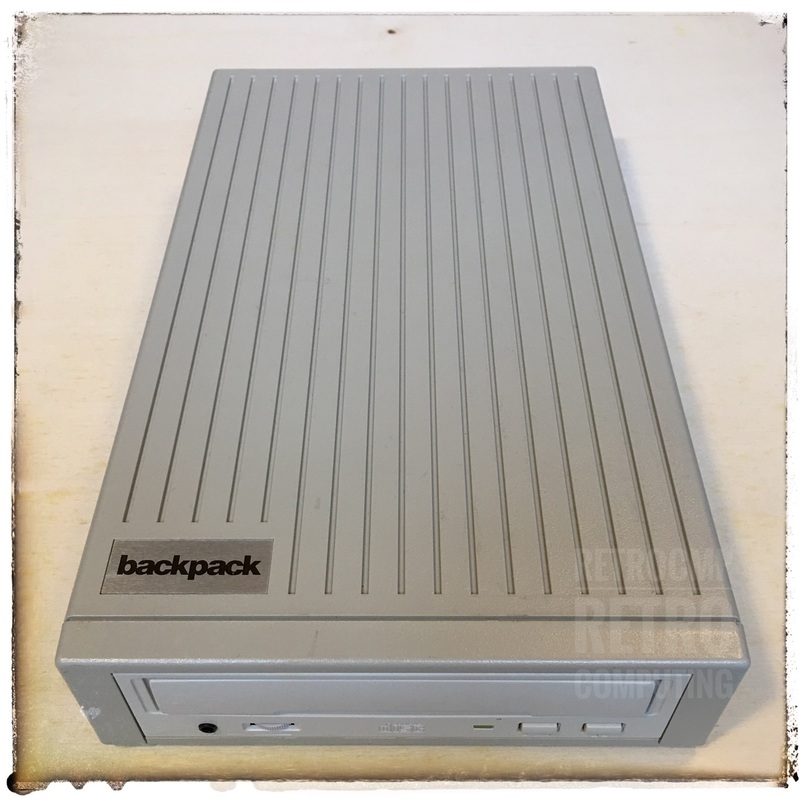 I have two different backpack CD-ROM drive: 165550 (6x) and 167550 (32x). Externally, both drives look almost the same. The drive 165550 is from about 1986 and the drive 167550 from about 1998. 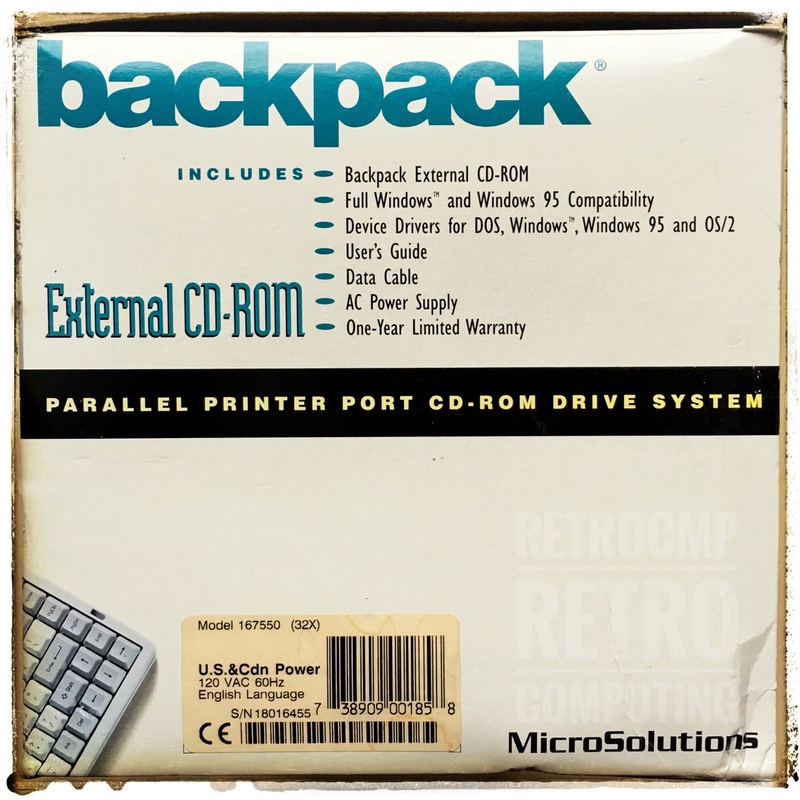 Both drives run without problems with the software version 2.06 (about 1986). 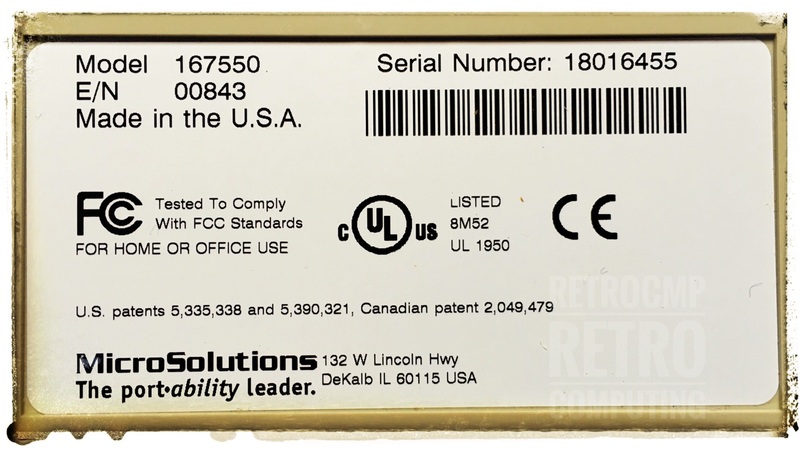 Drive 167550 actually includes software version 2.13, which also supports Windows, Windows 95, 98 and NT. 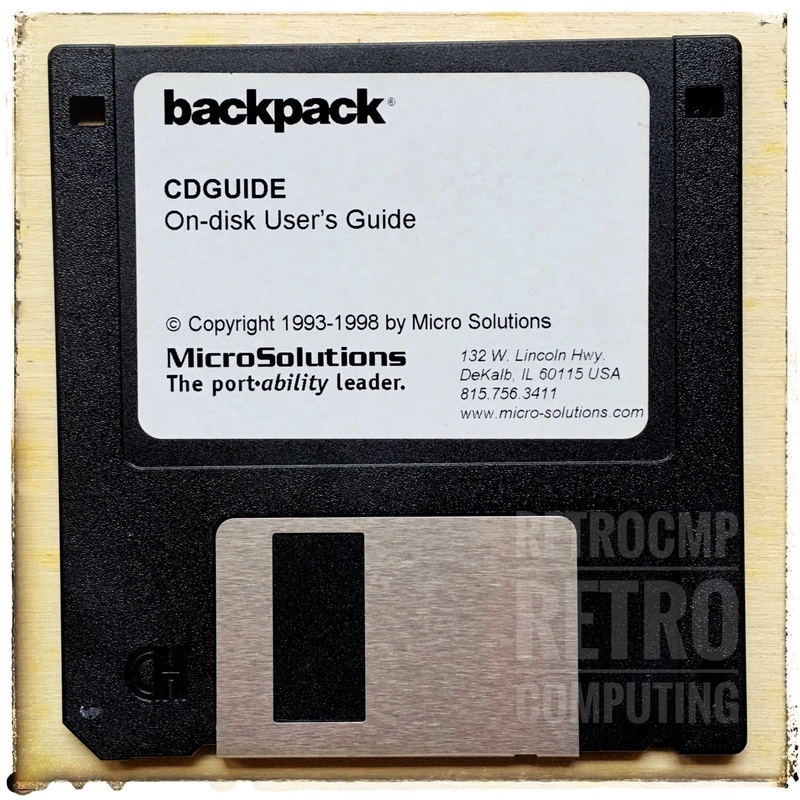 Drive 167550 also supports CD-RW discs, while the older drive 165550 cannot read them. 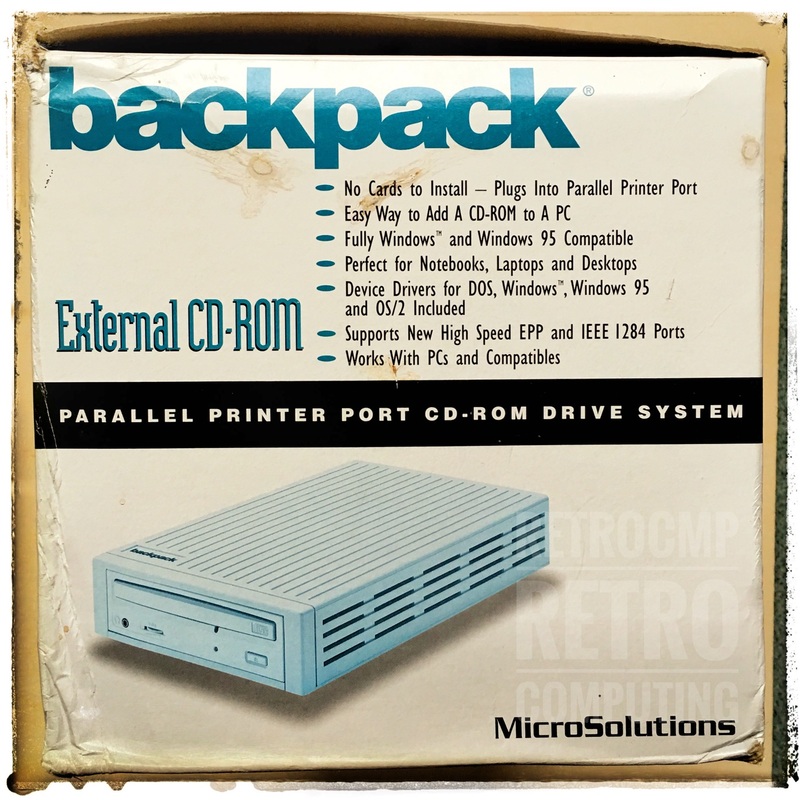 In the picture above you can see a backpack CD-ROM drive from Micro Solutions (here the model 165550, 6x). 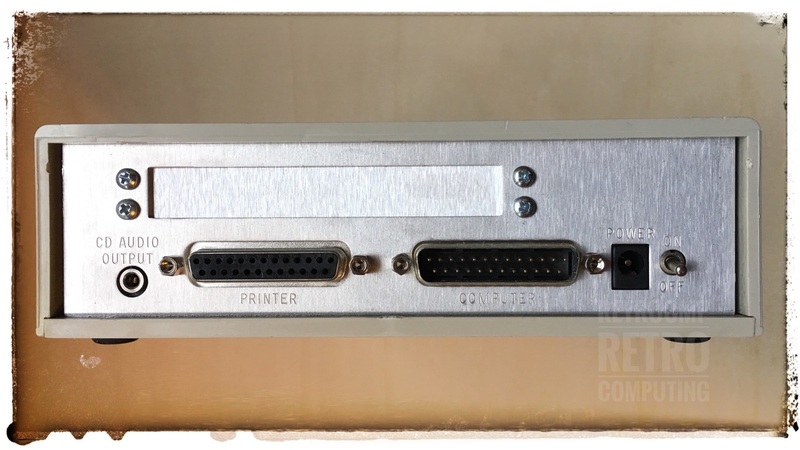 With the appropriate DOS driver you can easily operate this CR-ROM drive via the parallel port. This works for me with my IBM PC, XT und 286 compatible AT and MS/PC-DOS. No problems! 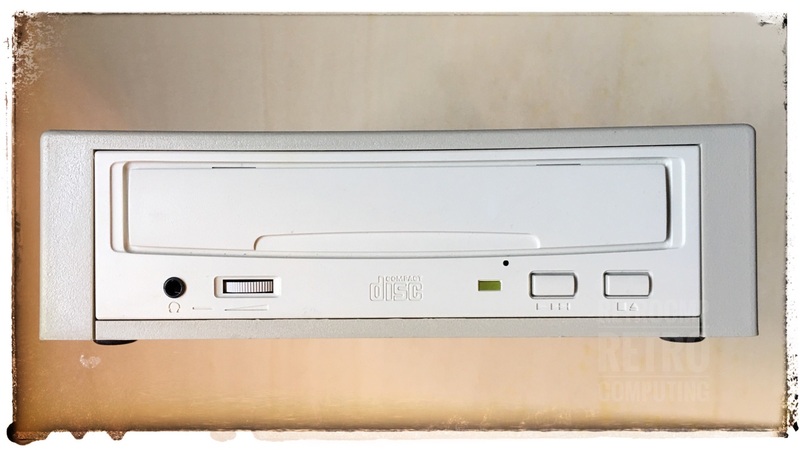 I bought this CD-ROM drive in the USA and run it with a 120 V AC power supply and a voltage converter (220/240 V). Works fine. 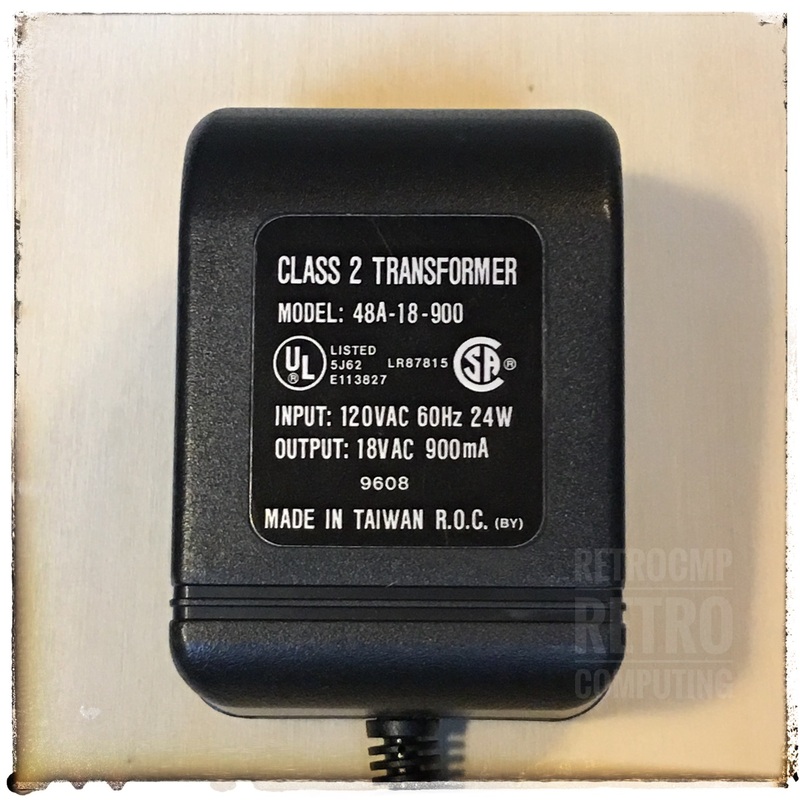 Attention: I do NOT test other DC power supplies! I do NOT guarantee the correctness of these statements! At your own risk! 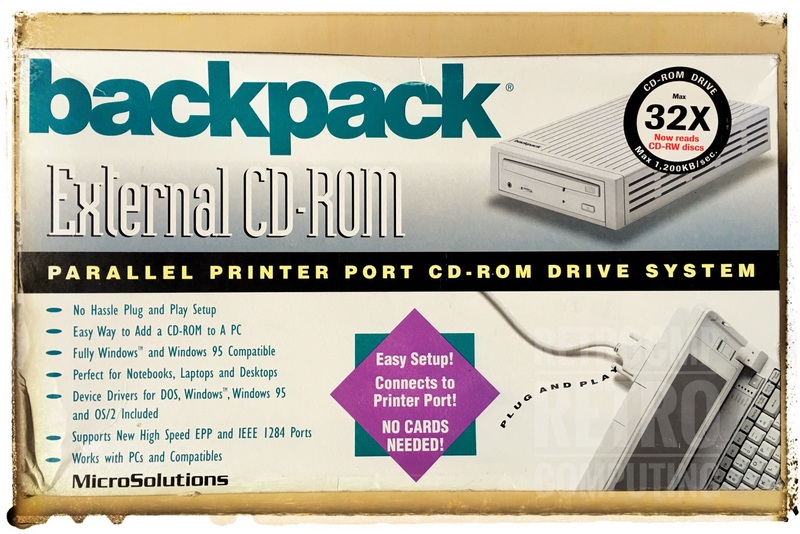 When using the CD-ROM media, note that the "new standard" CD-R of 700 MB (80 min) may cause problems with the older drive 165550. With some older 700s I had reading problems. Could be, but doesn't have to be. Just try it out. The drive 167550 should be able to handle the new CD-ROM standard of 700 MB without any problems. 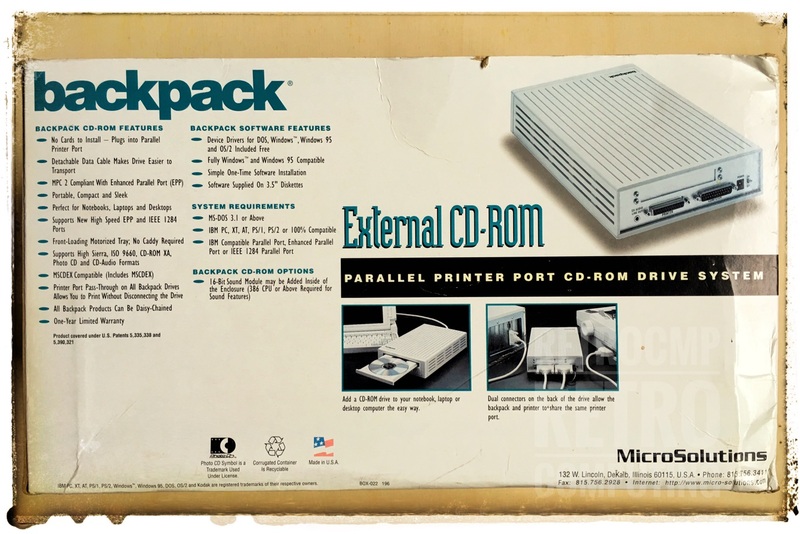 For sizes beyond the original 650 MB/74 min, playback problems may occur in some CD drives, as the track grooves are closer together to achieve the higher capacity. Up to the standardized 700 MB, however, this occurs almost exclusively with older CD players and drives. For a quick test I just installed the software (V2.06) on my IBM 5150. Restart the computer, the driver is installed without problems, insert a 650 MB data CD and execute the DIR command. That was it. The whole procedure didn't take 3 minutes. Then I ejected the data CD and started an audio CD. The music sounds either via the front headphone output (with volume control) or via an active box and the rear output "CD-Audio Output". I don't have the words. 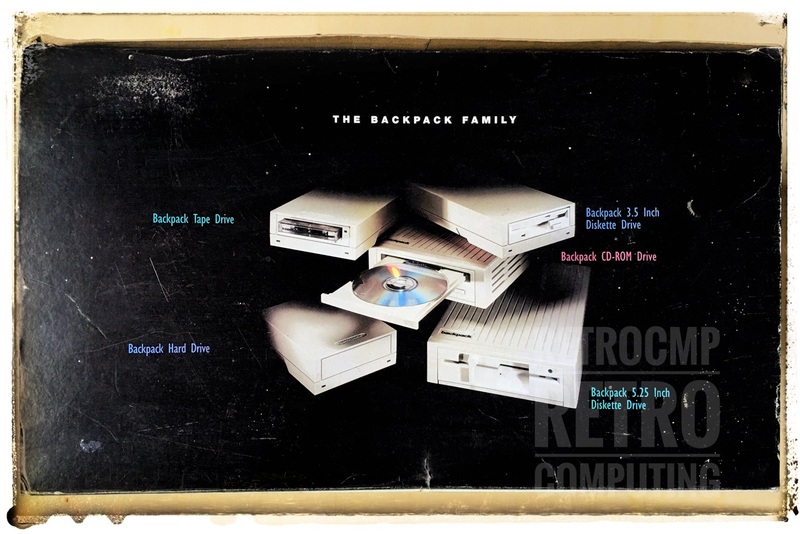 The Word 6.0 DOC files come from the 3.5" floppy disk shown above. I have imported the files under macOS with Libreoffice 4.3.4 and exported them as PDF/A. I do NOT guarantee a correct conversion!